In which Google be Google and I drop a hot AGPL tip. These news reports don't mention reCaptcha explicitly, but it's been asking about a lot of cars lately. Whatever the source of the data that Google is using for this, it's disgusting that they're mining it from us without our knowledge or consent. Google claims that "The technology flags images for human review, and is for non-offensive uses only". So, if a drone operator has a neural network that we all were tricked & coerced into training to identify cars and people helping to highlight them on their screen and center the crosshairs just right, and the neural network is not pressing the kill switch, is it being used for "non-offensive purposes only"? Google is known to be deathly allergic to the AGPL license. Not only on servers; they don't even allow employees to use AGPL software on workstations. If you write free software, and you'd prefer that Google not use it, a good way to ensure that is to license it under the AGPL. Now seems like a good time to mention that I have been contacted by multiple people at Google about several of my AGPL licensed projects (git-annex and either keysafe or debug-me I can't remember which) trying to get me to switch them to the GPL, and had long conversations with them about it. Google has some legal advice that the AGPL source provision triggers much more often than it's commonly understood to. I encouraged them to make that legal reasoning public, so the community could address/debunk it, but I don't think they have. I won't go into details about it here, other than it seemed pretty bonkers. Mixing in some AGPL code with an otherwise GPL codebase also seems sufficient to trigger Google's allergy. In the case of git-annex, it's possible to build all releases (until next month's) with a flag that prevents linking with any AGPL code, which should mean the resulting binary is GPL licensed, but Google still didn't feel able to use it, since the git-annex source tree includes AGPL files. I don't know if Google's allergy to the AGPL extends to software used for drone murder applications, but in any case I look forward to preventing Google from using more of my software in the future. This sounds like a very clear-cut violation of DFSG#5 and #6. 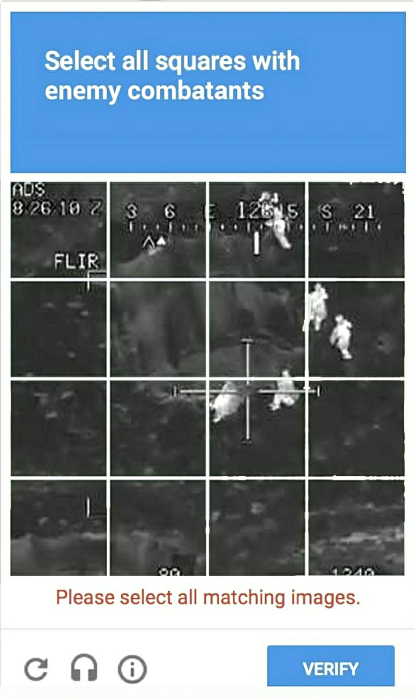 You're discriminating against using the software for military purposes. Well, this is the same Google that discriminates against anyone who's looking to purchase a gun or anything unrelated that just happens to have "gun" as part of a word in its name (yet something denying cakes for gay weddings is a legal argument used by them), but two wrongs don't make a right. There's also a question whether AGPL is a free software license at all. I believe it's not: fails FSF Freedom 0 (networked light switch; IMAP server) and the Dissident Test (a dissident hiding steganographic messages on a blogging platform with thousands of unrelated users; only fellow dissidents receive a module to encrypt/decrypt the messages). The AGPL is a DFSG compliant license; all of my AGPL licensed software is in fact distributed in Debian. Google Inc may be opposed to AGPL but other interested parties may well happily take it. I think you are misusing an open source license to achieve an ethical purpose. If you want to be 100% sure that your open source work is not used for “evil” you could add to the license the line "The Software shall be used for Good, not Evil" (see JSLint). But then who checks what is "evil"? You probably need to set up a bureaucracy with "certificates" issued by independent third partes do demonstrate that the purpose is "not evil" (as you need if you want to sell "organic" food).